green day – the time of our life. because it feels very, very surreal. 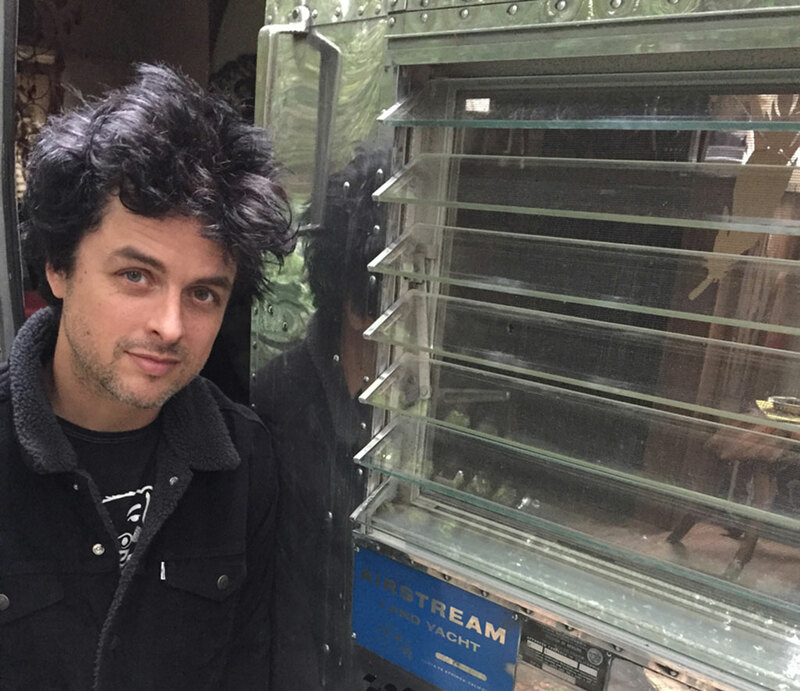 yes, that’s billie joe armstrong of GREEN DAY standing by his JG airstream. maybe it’s because the memory of listening to my dookie tape (you read that right…the cassette tape…in a tape deck) is so vivid…and sitting up late, late at night watching insomniac theater on VH1 just to catch their latest videos. it’s because there is something about GREEN DAY that makes them larger than life. because they are the kings of punk rock. the rock ‘n roll hall of famers that are not only one of the best selling bands of all time but they are also a testament to the american dream and to the fact that really, really, REALLY big dreams really can come true. because i know you agree with me when i say that it is wildly RANDOM that we received a call one day from billie joe armstrong’s wife, adrienne armstrong. i mean who in the whole entire world could have ever predicted that? green day is calling US? us little ole junkers out here in texas? i remember the day amie called to tell me she had just hung up the phone with adrienne armstrong…i was at the roller skating rink…ummm, yes that’s right…i was at the roller skating rink. 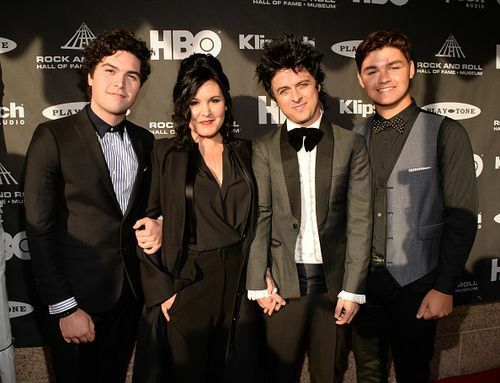 apparently adrienne was wanting a very special gift for billie joe for their 20th wedding anniversary….and we were just the ones for the job. “Billie Joe & I met in my home town of Minneapolis, Minnesota on July 4, 1990. 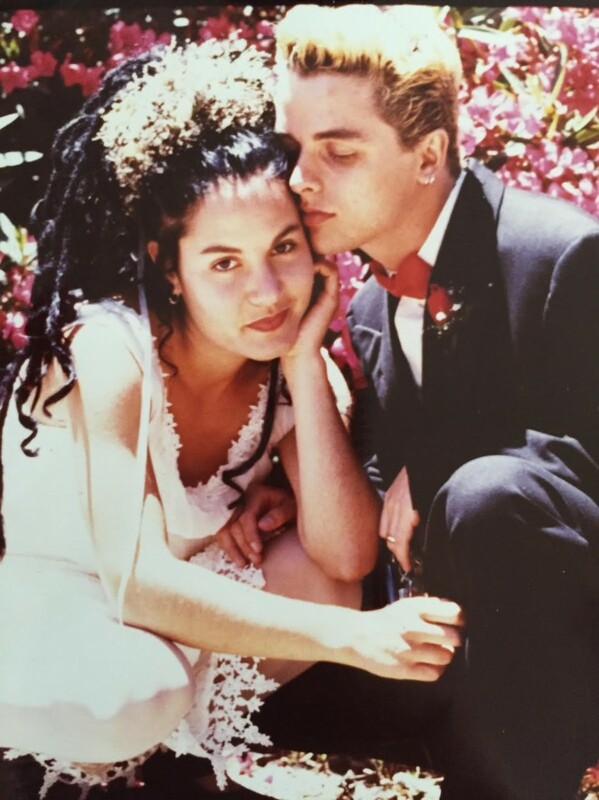 Four years later on July 2, 1994 we married in the backyard of our Berkeley, CA home. We have been on an epic adventure ever since – raising kids and animals, creating a home, working and traveling and experiencing the many ups, downs & in-betweens of life together as a family. As our 20 year wedding anniversary was approaching, I knew I wanted to get him a vintage Airstream. We had talked about getting one over the years and how fun it would be to travel the coast, stopping at surf breaks along the way. 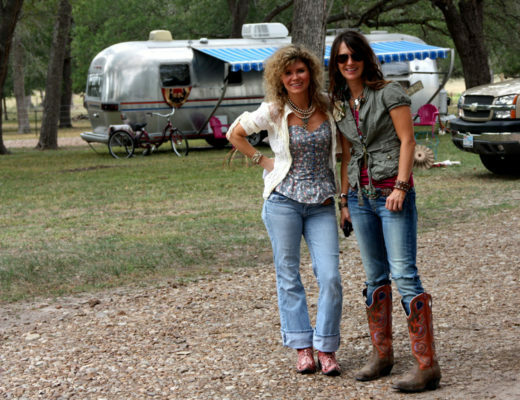 I started looking online for interior ideas and Miranda Lambert’s and Dierks Bentley’s Airstreams kept coming up in image searches. So I tracked down The Junk Gypsies. I would have tried to do the project myself but I didn’t know the first thing about Airstreams. I was hoping they could fix it up and make it work for him. This has been such a fun experience working with them. They truly got what I wanted to do for Billie Joe. To create a surf shack on wheels. A cozy, laid back space to hang out & drink his morning coffee while listening to his favorite records. This cute baby is going to be with us for this next chapter in our family adventure. And I am so grateful to Amie & Jolie for making this happen. i won’t mention the fact that while filming this, i think i threw out my neck (how do they do it? 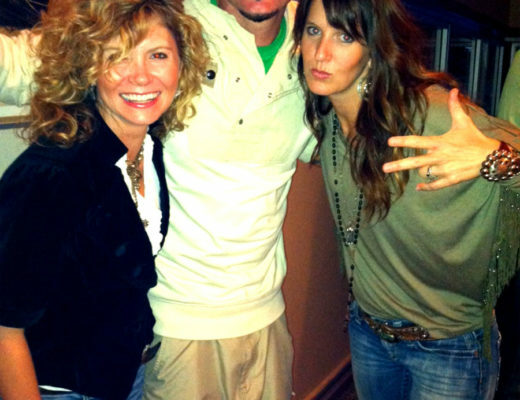 ?….maybe i’m not rockstar material….i’m also tone deaf). but in all seriousness…we’ve spent about a year getting to know adrienne, and their love for each other is really so amazing and so authentic. we’re in love with their love story. it is the REAL DEAL. and, there is no doubt that adrienne is possibly one of the sweetest souls we’ve ever known…and that, together, they have conquered the world. 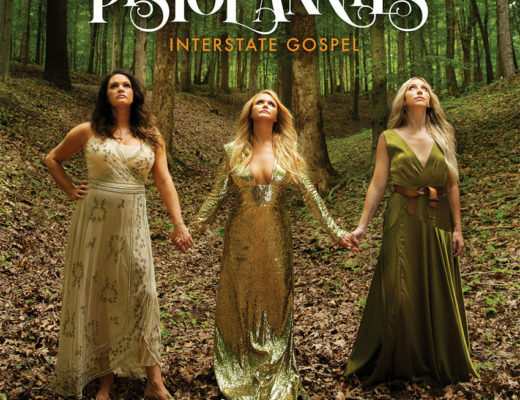 and we are so incredibly thankful from the bottom of our texas hearts that we were able to be a part of this story…because it has added such a wonderful, inspiring, and sublimely beautiful piece to our junky puzzle of life. we’ll be posting lots of pics soon so y’all stay tuned!!! and get ready for tonight!!! #TGIJF with us and green day!!! wooo-hoooo!!! 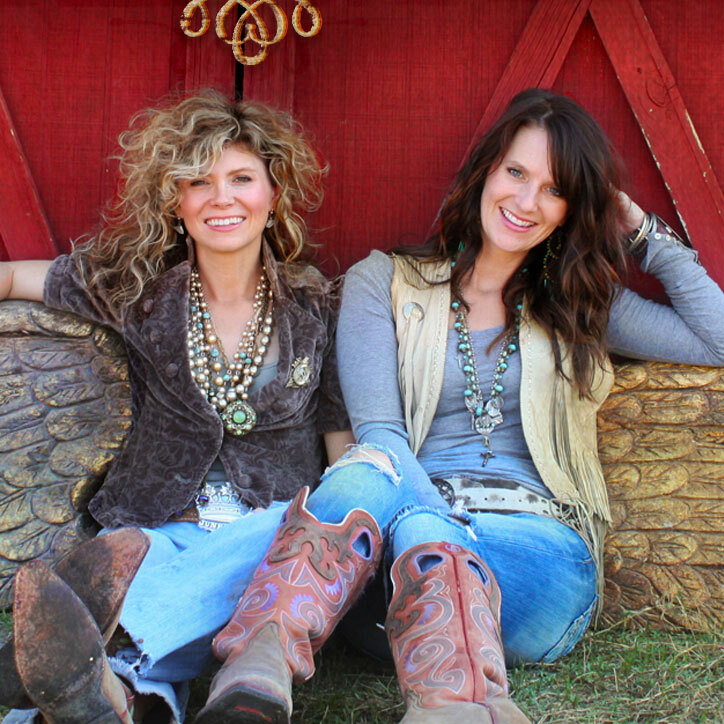 What a life……..you go girls….can’t wait to see the episode. I’m so excited for this episode and this blog entry makes me even happier that you were able to do this for them. My favorite band and a love story I have looked up to for many years. They’re so damn awesome and kickass people! Thank you for sharing! Ok, that was AWESOME!!!!! Gorgeous work, Ladies!! You truly ROCK! OMG! I would have died and gone to heaven! I can’t wait to see the inside of that Air Stream! You make me even more proud to be Trxan ! Can’t wait for tonite! I’ve missed you girls and your junky ways!!! Can’t wait til tonite! I’ve missed your quirky junk ways! Rock Stars all the way !! Does the trailer feature bread? If so I am interested.